Our customers are happy. Their customers too. 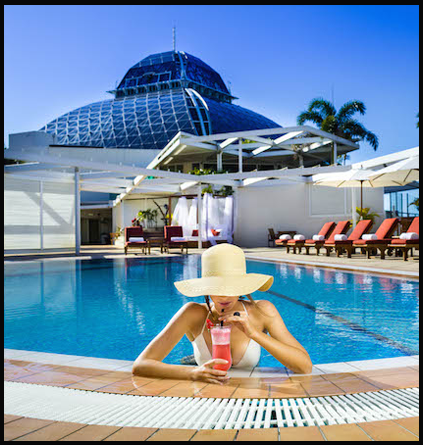 – Why an e-concierge for the Pullman Reef Hotel Casino guests? We wanted to get closer to our guests and give them another medium to talk to us and provide better service in line with the increased use of mobile and tablet applications for travellers. After researching a number of companies, Hotelcloud was the best fit for us. Sharon’s quick response times and accurate relaying of information was the key to the decision. – About the implementation process ? Tea (one of Hotelcloud Creative Managers) was great in the way she handled the app creation and wanted to help with everything, great suggestions on layout and format, particularly considering the distance and time difference. – About the evolution of the product ? I am very satisfied. Lots of new ideas on how to use the app, we keep trying different things and are seeing excellent usage of our concierge chat. – Any positive feedback from your guests ? Yes, many have commented on how quick the responses from our staff are. – Would you recommend Hotelcloud to other hotels / apartments rentals companies ? Quick response time from Hotelcloud staff, lots of new ideas, a great communication tool for our guests ! 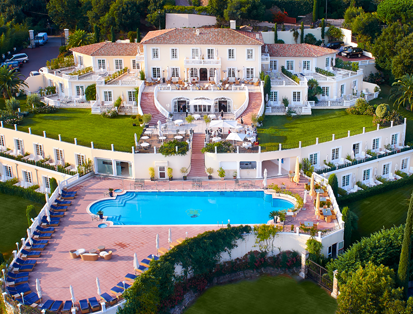 – Why an e-concierge for Cyprès si Haut’s guests? Implementing an e-concierge is an extra service which separates us from our competitors and labels us as avant-garde for our kind of structure. Our guests enjoy preparing their stay and are always seeking for services but do not want to waste time looking; it’s much easier to have an app which gathers all of that. For their quick response, for their interview on BFM Business, for their dynamism and for the way they adapted their solution with regards to my establishment. Most especially for their « Do it yourself » offer, perfect for our kind of structure, easy to implement and cost-saving. Very satisfying. My every questions were answered thanks to the great listening skills of the creative team. The implementation was fast and efficient. 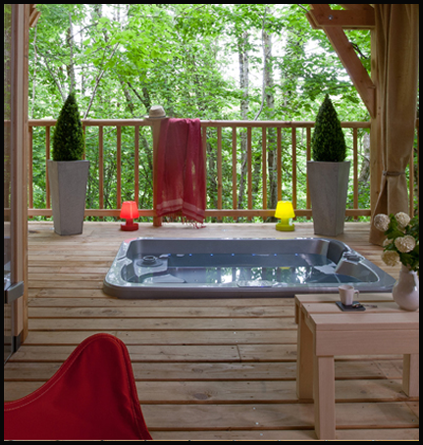 Guests are surprised that a structure of our size offers such a service and find it very easy to use. This is extremely valuable to differentiate ourselves, and to help them plan their stay. 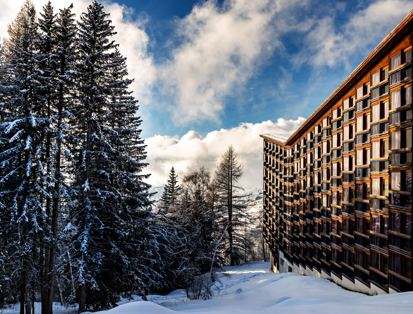 – Why an e-concierge for Hotel des Trois Vallées’ guests? A very useful and important tool to ensure the best possible stay for our guests as they always desire to be informed about the hotel’s activities as well as what’s going on in the station. Hotelcloud is the perfect solution to satisfy our international clientele. It was a wonderful experience. 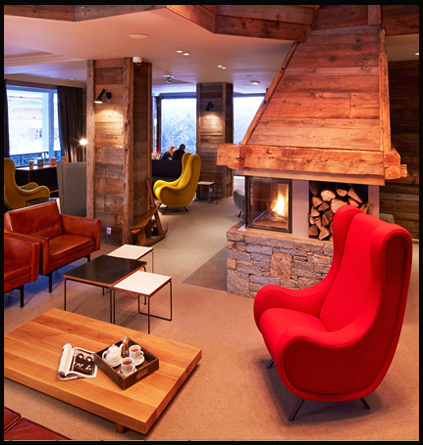 The app creation process gave me the opportunity to discover my hotel and the Courchevel station in more depth. The tips and the follow up from the Hotelcloud team ensured the success of the implementation of this top-notch tool. Guests were very surprised by the app, as they did not expect to have a practical and sophisticated service made available before their arrival at the hotel. A playful digital touch, moving away from tradition concierge for an enhanced experience ! – Why an e-concierge for Hotel Taiwana’s guests? 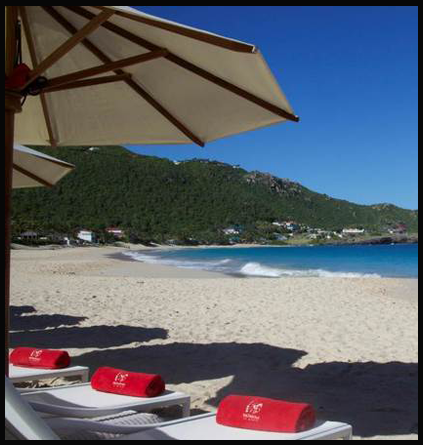 It allows guests to have an access to the hotel concierge as soon as they book their stays with us. It’s a playful digital touch with a maximum of information made available to our guests about the various activities offered by the hotel. The set up made through the phone and the staff training are very efficient and quick. The solution and the platform are very simple to use and understand for both guests and staff members. – About your account manager ? The Account Manager’s reactivity is excellent. Monitoring is done regularly. There is a real relationship between Hotelcloud and hoteliers. The chat is great as it is now possible for guests to discuss with staff members whilst being in their hotel rooms or at home before their trips. Yes, definitely as we move out from traditional concierge. Guests can book their restaurants, sport activities… well before their stay without sending an email. Everything is done through the app which is very user friendly. The solution also allows hotels to send reminders to guests about all the available bookable activities listed in the app. – What do you think of Hotelcloud for hotel staffs? As an ex concierge, I was personally seduced by the Hotelcloud app which I find really useful for both hotel staff and guests. User friendly, interactive, I think that if well used, the app can be extremely useful for small hotels without dedicated concierges. The app can really save some precious time for hotel staffs, especially the integrated chat! – About the way the app has evolved overtime ? Regarding the evolution on the app, I think that Hotelcloud is doing a great job. The app evolved in such a way to facilitate the usage of the staff platform. I believe that the prestay email tool really helped us to promote the app to our guests. On the client’s side, the recently added numerous activities and tours on the app are also great! Overall, I believe that the app and the constant updates are exciting. I am completely convinced by the app as I think that it has a strong added value, if well used. I would definitely recommend it to fellow hoteliers. 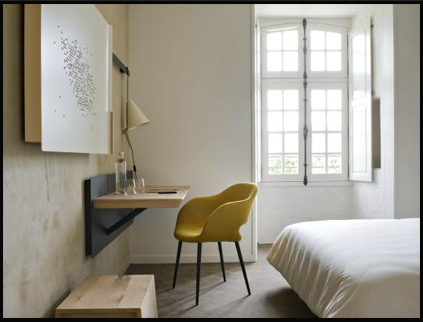 – Why an e-concierge on the in-room tablets for the Fontevraud l’Hotel’s guests? We wanted to use today’s tools in order to improve the customer’s experience at the hotel, by simplifying procedures and centralizing all the tools in one place. Because the solution corresponds to the idea we had in mind, because it is a web app and because there are no clients or app to set up. Along with that, there is also an online platform to update the content and because we detected potential and rapid improvements of the product. The team supported us throughout the whole process and have always answered our requests in short time frames. Yes, but it has almost become a normality for guests to find such a tool in a contemporary hotel like ours. – Would you recommend Hotelcloud to other hotels ? – Why an e-concierge for U Capu Biancu? To keep up to date with the new trends and for a faster and more efficient communication with our clients. For a new way to display and put forward our services and most importantly to avoid paper printing, in order to respect the nature which is in line with our establishment’s ‘ecofriendly’ philosophy. The app set up was great. The team is really friendly and reactive. Our Creative Manager’s advices were very useful as they helped us have a clearer idea on how to convey our message with this new tool. We are 100% satisfied and we most especially appreciate his recommendations and advices in the monthly analytics reports he sends us at the end of each month. Of course, and with no hesitation! 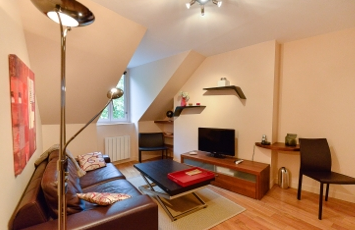 – Why an e-concierge for The Streets Apartments guests? 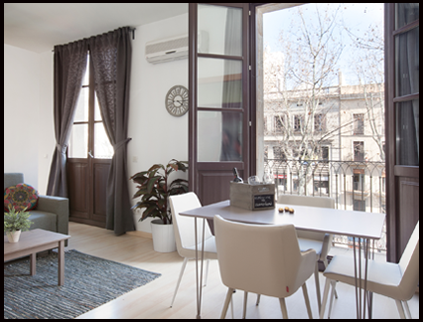 We manage different buildings in Barcelona and we were looking for a tool that helped us to be in touch with our guests, and also to facilitate the customers to reach us at any time in the most effective and easy way. Something that could express our brand values and service agreement with our guest. We needed a tool that made life easy if a customer needs any information during his stay, wants to book an activity, a tour or a just a restaurant. Also we needed something easy to use, powerful and with the possibility to be updated at any time and with few steps. And Hotelcloud was the only platform that could give us just what we needed. Completely hassle free. The process was smooth and surprisingly quick: Hotelcloud team helped us during all the implementation and the extranet was easy to use, we learned how to use it in few minutes. Fantastic! Accessible, attentive and responsive. Exactly what you need when you are implementing a new tool. Absolutely. Our guest are really happy with the possibility to reach us at any time, to have information about our properties even before their stay, to book activities and have useful information about the city. And are also surprised by the easy of use of the app. I’ve already recommended it to several other companies ! 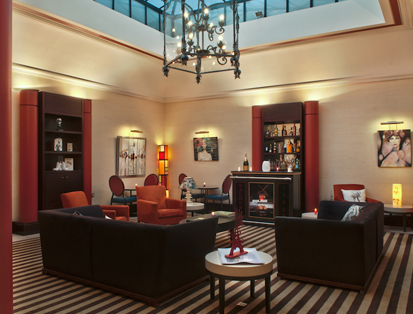 – Why set up an e-concierge for Hotel le Versailles? We live in a world where technology is constantly evolving, and it is important to quickly adapt in order not to be left behind! We wanted to offer our clients a service shaped around their needs, and Hotelcloud was the perfect solution; an app for our hotel with internal services and a variety of local partners. The interesting aspect of the Hotelcloud solution is that it allows local businesses to grow, by establishing a contact between our guests and their services. We therefore create a strong link with our guests but also with the local partners around the hotel. It’s a win win situation. The app set up process went really smoothly thanks to Hotelcloud’s project management software. The entire team was really professional and available. – What do your guests say ? Clients love it and use it a lot! The app has a really practical aspect, even for receptionists, as they use it to give advices to the guests! We live in a world where technology is constantly evolving, and it is important to quickly adapt in order not to be left behind ! 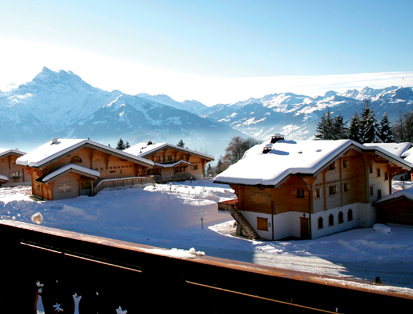 – Why set up an e-concierge for The Chalet RoyAlp guests? Because we noticed that some of our clients would rather stay confortable in their rooms. New technology nowadays allow us to let our guests choose the way they wish to communicate with us. – How would you define the guest’s experience with the app ? Easy, fast and adapted to our clients who are more and more connected. The app is truly appreciated. The ordering and chat functions are really simple and user friendly. Guests often use them while they’re busy doing other stuff such as skiing, or during meetings. No need to call, to be put on a waiting list… everything is done through the app. – What about the staff ? Yes I would, depending on the needs of the guests, and the hotel’s objectives of course. – What are the digital objectives for Hotel Atala ? Our digital objectives are to succeed in capturing clients through OTA as well as offering them additional services during their stay with us. – Why set up an E-concierge for the hotel ? Our wish was to offer new services to our guests, and at the same time reduce the work load from our reception team. We especially believe that an e-concierge solution will create a stronger interaction between our guests and the staff team. From our side, we wish to give the very best in order to gain customer loyalty. – What about the collaboration with the Hotelcloud teams ? They are very pro-active and professional when dealing with different projects. Offering our guests our entire services and solution through an e-concierge app is a way to adapt to the new generation of clients, who are more independent, fond of new experiences, seeking for freedom and discretion. – Why set up an e-concierge for the Hameau des Baux guests? 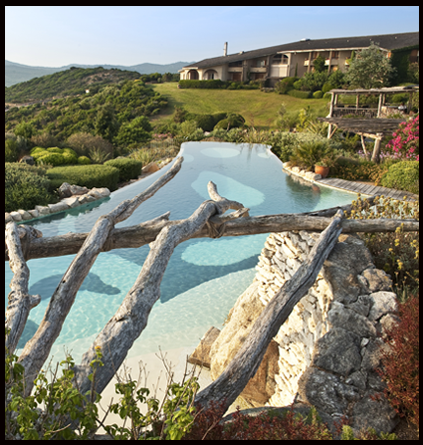 The Hameau des Baux Concept-Hotel wishes to differentiate itself from classic hotel by offering a complete and original luxury service offer with a strong local print. To be able to offer our guests complete freedom during their stay, necessarily requires an e-concierge. Offering our guests our entire services and solution through an e-concierge app is a way to adapt to the new generation of clients, who are more independent, fond of new experiences, seeking for freedom and discretion. We however must not neglect the humain contact. Gathering our entire offer on one single device is allowing our guests to live their experience here in their very own way. Choice is freedom. The success of this project will not be without the implication of our internal teams. To encourage them, it is necessary that they get involved in the development process. Their feedback will be extremely valuable for the coming improvements. – About the set up process ? The Hotelcloud teams are really pro-active and the app was rapidly implemented. For the coming years, we hope that our evolving hotel services and offers, along with Hotelcloud’s new features and an in depth training of the teams will be the 3 key elements for the success of the Hameau des Baux app. – How do you see the hotel evolve along side Hotelcloud ? We wish to evolve toward a complete digital experience for our guests. Hotelcloud can count on our Concept Hotel to be part of its development. 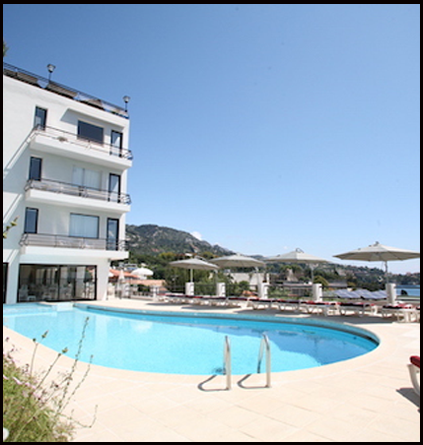 – What are the digital objectives for Villa Belrose ? Our hotel is a 5 star establishment with it’s very own concierge, and it is I, Clés d’Or concierge who handled this project. Hotelcloud seemed to be a great tool to increase the interactivity between the guests and the concierge office. It is also a gamble about wether or not it will improve the up sells especially with the prestay email sendings. – What about the set up process ? Extremely Cloud ! The entire creation process was done online with a very easy contact with the creative team. The different collaborators at Hotelcloud are all always proactive and understanding. – About your Account Manager / follow up ? It has been very good since the beginning of the set up. Chibo is regularly updating me on the activity of our app. It is even I sometimes who is slow in getting back to him and set up his recommendations to optimize the app usage. – What do your clients say, are they satisfied ? Apparently as we can clearly see with the traffic. Our clients spend an average of 5 minutes per session, which to me is great! – Would you recommend the app ? I have already done it. My concierge colleague at the Royal Antibes, a 4 star hotel has set up his app after a small discussion we had about my experience. He was immediately convinced! Our clients spend an average of 5 minutes per session, which to me is great! E-concierge apps are for me THE upcoming solution to answer to all the most essential and recurring hotel guests demands. 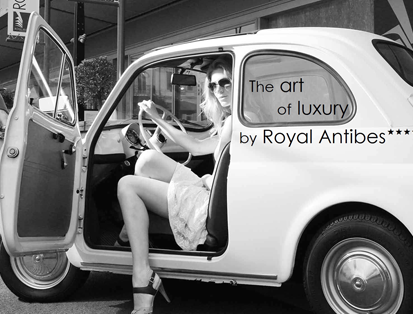 – Why an e-concierge for the Royal Antibes guests? – Is the tool complementary with the daily concierge tasks ? Yes, it allows us to better organize and handle daily tasks. First of all because it was recommended by one my colleagues. Then after a review of your website and the specific and relevant examples that insured me of your professionalism. A good communication, reactivity, and a strong understanding allowed us to rapidly set up the app despite being it the peak season. – Would you recommend Hotelcloud to a fellow hotelier ? Without any doubts, and should I need to change establishment, I would do what is needed to implement this solution. – Why set up an e-concierge for Vpàt Immo ? To allow our foreign and non Parisians clients to easily integrate into the social life of Versailles. – What do you expect from Hotelcloud in the near future ? To be able to handle administrative tasks such as rental leases, apartment inventory and more. – How long have you been clients / why ? We’ve been clients for 2 years now. The fact that our every demands are taking into consideration is the reason we are loyal to Hotelcloud. The e-concierge app is in line with our wish to offer additional services to our guests and it allows us a better management of supply and demand. – Why set up an e-concierge for the Temmos Group ? What is your digital strategy ? The prestay email tool was what we were really looking for, more than the e-concierge solution itself. However the e-concierge app is in line with our wish to offer additional services to our guests and it allows us a better management of supply and demand. – What is the idea behind this tool ? The idea behind the app is to sell additional services to our guests by bringing them a new experience. We are clearly aiming to generate additional revenue. We decided to go with Hotelcloud because one hotel from the group had heard about the solution and was convinced about its utility. – What about the set up process of the 5 apps simultaneously ? Extremely proactive and efficient. The apps were live within a month which was perfect. – About the emailing tool ? Does it meet your needs ? – How did your operational teams accept / adopt this project ? It’s more delicate for seasonal hotel then yearly hotels, but everything is going to be alright ! – Why set up an e-concierge for the Waldorf Trocadero ? 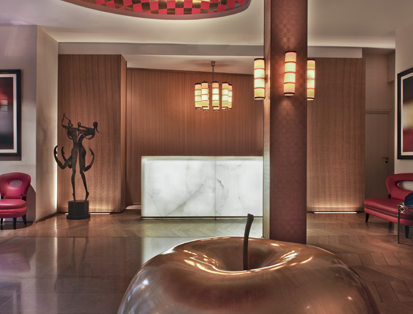 To bring modernity to the way we approach our guests. An additional service easily accessible (their phones) to help our guests gain some time. 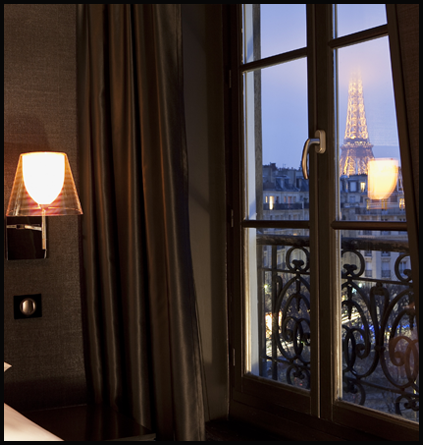 To also have all the necessary hotel information, as well as a local Paris guide in their pockets. We decided to go with Hotelcloud because I had a great feeling about the company and their solution when we first met. Great approach and assurance in the way they presented their solution. – About the app creation process ? Great experience ! The creative team had a really good comprehension of my needs and requirements. Of course, I gladly will. We decided to go with Hotelcloud because I had a great feeling about the company and their solution when we first met. Ready to join the fastest growing concierge platform for hospitality?